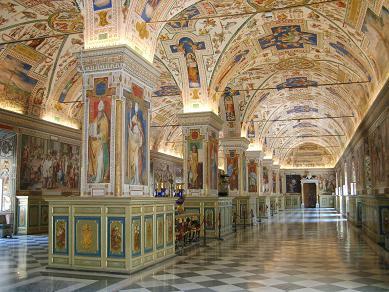 The Vatican Museums are the museums of the Vatican City. In the 54 galleries is a large collection of Renaissance art and sculptures. Highlight is the Sistine Chapel. The ceiling of this famous chapel was decorated by Michelangelo. 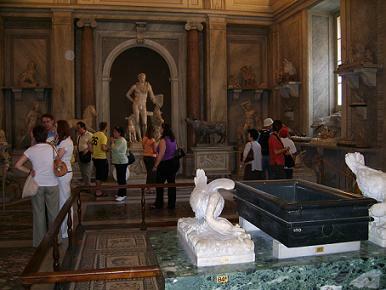 Another masterpiece of the Vatican Museums are the four Raphael Rooms with frescoes of the Italian painter Raphael. A full price ticket for the Vatican Museums and the Sistine Chapel is €16. Reduced prices are €8. If you don’t want to wait; tickets can be purchased online for €20 (reservation fee is €4) and you have to print them. It is possible to modify afterwards the reservation date depending upon availability. 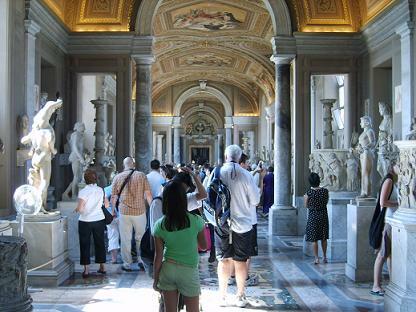 Opening hours of the Vatican Museums are from 9.00 – 18.00 hours. The ticket office is closed at 16.00 hours. In the summer months the museum is closed June 29, August 14,15 and every Sunday. The last Sunday of every month; there is free admission from 9.00 to 12.30. Every night from 24 April – 31 July and from 4 September – 30 October, the Vatican Museums are open to visitors. Openinghours are from 19.00 – 23.00 hours. Ticket office will close at 21.30 hours. It is required to book tickets online. The Vatican Museums have a separate entrance from the Saint Peter’s Basilica. Metro stations ‘Cipro’ (line A) and ‘Ottaviano San Pietro’ (line A) are both near the Vatican Museums.